Dog Tag Checks With Pink Camo Background make a fun personal checks. Looking for fun camo checks with your initials on them? Our monogrammed checks are colorful in pink. For the ladies, these pink checks are really cute. Military service girls would like these feminine checks. It's easy to order checks online and you buy them at rock bottom prices. When you have served in the armed forces, you may have a deep appreciation of the power of the military and feel thankful that there are those people willing to serve the United States. Show your appreciation when you order monogrammed dog checks online. 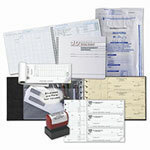 Thank you for shopping at Value Checks where you can order cheap personal checks and get a great bargain!